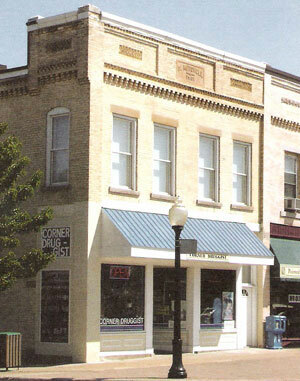 The Corner Drug is a Full Service Pharmacy serving the Elk Rapids, Michigan area. Because we are a Good Neighbor Pharmacy you can be sure you will get fast, friendly, and professional service with all of your prescription needs. Wes Knecht has owned The Corner Drug Pharmacy since 2000. The building was built in 1901 and has always served the Elk Rapids community as a pharmacy. Wes is an old-fashioned pharmacist who assists/consults with folks regarding their health care needs in general. "Don't make a rash decision about your rashes without consulting the pharmacist first." "When you come to Elk Rapids for vacation, if the Corner Drug does not have it, you don’t need it."